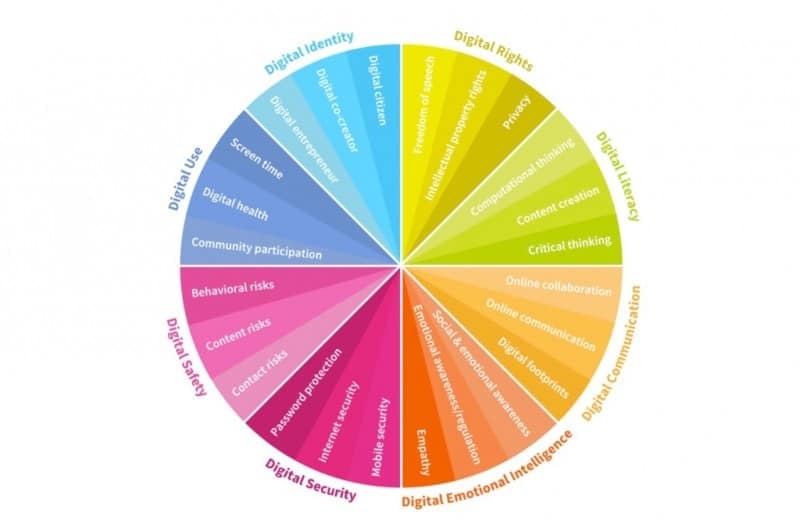 Aside from functional literacy, today we are also talking about digital literacy and digital intelligence, something that, you are probably thinking, is pure common sense. However, here is a catch: digital intelligence means more than knowing how to FaceTime your mom, do elaborate calculations in Excel, or chronicle your life on Snapchat. It means knowing how to be a responsible digital citizen, how to take care of your digital footprint, how to take care of your private data and a lot more. Findings from recent research, commissioned by .ME and conducted by Wakefield Research, show that we may be lacking in that regard. Our research shows that every third Millennial believes that once he or she deletes something online, it’s gone forever. Unfortunately, this could not be further away from the truth. Think about it. The only thing standing between your self-destructing message on Snapchat and the world is one screenshot. You may believe that your Instagram account is a private affair because you are using an alias, but the ever-evolving face recognition technologies still make you visible to search engines. And even though you deleted that angry Facebook rant, if someone shared it, it might still be safe in the cloud. Our offline and online personas are slowly merging, and one increasingly impacts the other. We are relying on the Internet to tell us everything we need to know about someone. Whether that someone is a date, potential employer, physician, or a scholarship applicant. Our first impression of that someone is going to be made online – before we even meet them in person. It will all come down to his ways of expression online and the company she keeps – much as in the real life. What to Do When Deleting Is Not an Option? With 84% of Millennials are regretting something they’ve posted online, it’s crucial you understand that deleting something does not equal an easy fix. So what can you do then? 39% of Millennials admit to having posted something online that could damage someone else's reputation. 1) Start by being aware of what your digital footprint looks like in the eyes of a stranger. 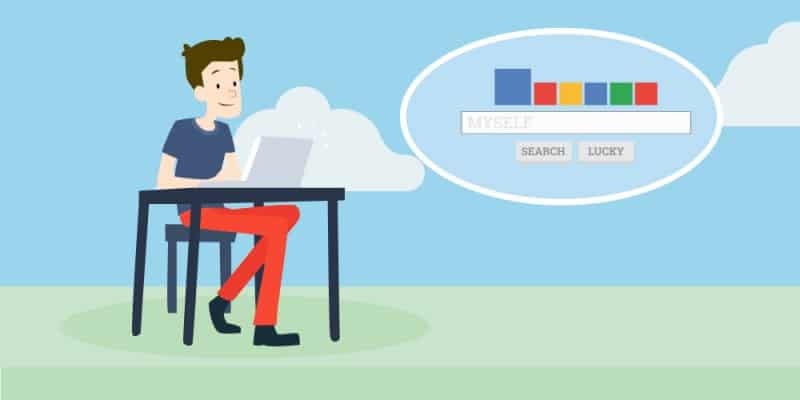 Google yourself using an incognito window, so your past browsing patterns don’t impact your results, and see what comes up. This should be the first indicator of what you should work on. 2) Deleting might no be a fail-safe strategy, but still do a cleanup. After seeing what comes up online, identify the sources and remove all the unflattering results you can. If the source happens to be a friend, reach out and ask them to remove the photo/post/information you don’t want to be seen. If not, well, start creating content that will push the unwanted content down the page (see number 4). Also, make sure to audit your socila media accounts. 3) Educate yourself about the privacy settings of your social media accounts. Facebook, for example, has four default privacy settings: Public (completely open), Friends (people you are friends with), Custom (a list of people of your choosing) and Only Me (only you can see). You can check which parts and posts of your profile will be seen by which groups. The same goes for every post you share. 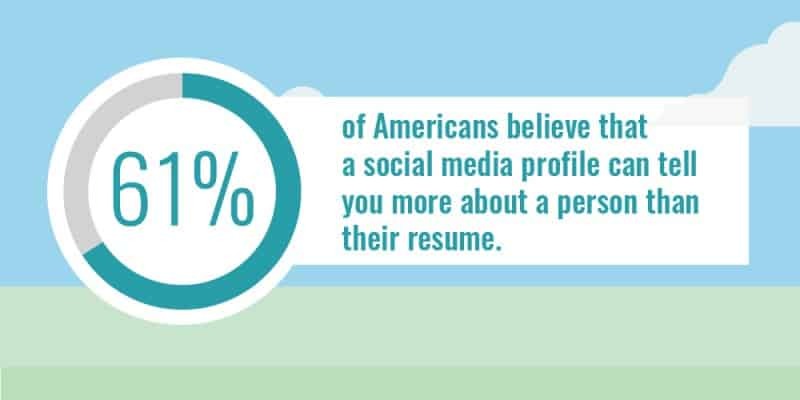 61% of Americans believe that a social media profile can tell you more about a person than their resume. A lesser known setting is to choose who can add you as a friend, who can look you up using your phone or email address and, perhaps most importantly, if search engines outside of Facebook can link to your profile (recommendation – no). Pay attention to the access you give to different applications connected to your account. Yes, even the ones that tell you who is your celebrity twin. Lastly, restrict who can tag you in photos and post on your timeline. When it comes to Instagram, you can choose to set your account to private so your photos are not longer accessible to the masses nor they appear in public searches. With Shapchat you can choose who can send you snaps and who can see your stories. Even open social networks like Twitter and Pinterest, which are intended for connecting you with the world, have extensive privacy settings you can use to better control your online image. 4) Start creating content you control. Three in four Americans believe that a person who has a personal website is more likely to get hired over a person who doesn't. The best way to fight unflattering content about you online is to act preemptively and create content associated with your name yourself. Three in four Americans believe that a person who has a personal website is more likely to get hired over a person who doesn’t. By having a privately-owned and open platform, such as a blog or a personal website, you are the one in control when it comes to the content posted there. Get a personal domain and use your personal website to tell your story. Showcase your experience and skills and give context to everything else that can be found about you online. Showcase your experience and skills and give context to everything else that can be found about you online. We all have challenges in life, and we make mistakes, just deleting them won’t make them disappear but what we can do is give them context, take over the control. If you are not sure how to make a personal website check out our post on free tools that can have you all set up in minutes. 5) Continue monitoring what your online footprint looks like. The final step: Google yourself on a regular basis. You can even set up a free Google alert on your name, so are automatically informed any new online entry concerning you comes up. Most importantly, try to not put yourself in a position where you have to frantically delete something the first place. Be mindful and deliberate when building your public image. Because this is an important part of your public image, and you have control over it. Stream.Me Shows Your Gaming Skills To The WorldDoes the World Really Need Your Startup?